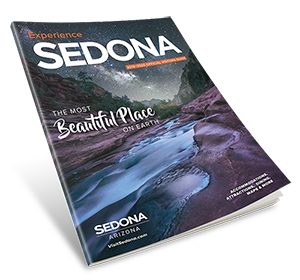 Named one of the 10 most beautiful places in America by USA Today, Sedona is one of the country’s best places to visit to get a break from everyday life. The only problem? There’s so much to see and do in Sedona, it’s hard to decide what to fit into an itinerary. Sedona’s red rock formations, canyons and ancient rouge-colored buttes that were home to early American Indians have become popular destinations for outdoor enthusiasts, artists and wellness aficionados. If you have just four days to discover Sedona and the surrounding area, here’s a quick guide on some of the best things to see and do. Sedona is an epicenter of the arts in the Southwest, and a trip to Sedona should include a day learning about its rich cultural history. You should start your educational arts excursion at the Sedona Arts Center, a nonprofit arts center with an on-site gallery that hosts workshops, classes and retreats in a variety of artistic mediums like painting, photography, ceramics and visual arts. Through the end of the year, you can learn a lot of the history of Sedona and its geological evolution at the center’s weekly showing of “Spectacular Sedona”, a digital screening that shows timelapse videos and still-image sequences while a narrator explains the science and history behind the area’s rock formations. Afterwards, check out the center’s fine art gallery, open from 10 a.m. to 5 p.m. every day of the year except Thanksgiving and Christmas. The gallery also hosts live artist demonstrations almost daily, where you can meet local artists, watch them create original pieces, and ask them questions about their processes. After a visit to the Sedona Arts Center, the next and most logical step is to visit some of Sedona’s local art galleries. You can spend hours browsing through galleries on Sedona’s Gallery Row and in other parts of town. During a gallery hop, you can buy original works and shop for fun Southwestern souvenirs, jewelry and more. Also, on the first Friday of every month, the streets of Sedona get packed with art lovers browsing through galleries and meeting artists. 1st Friday in the Galleries is one of the city’s most popular recurring events, and participating galleries stay open late and regularly host special events and demonstrations. As night falls, Sedona comes alive with music and people-watching at restaurants, cafes and bars. For a cultural dining experience, check out Sound Bites Grill in Uptown—a music-themed restaurant with live entertainment and a dance floor. The music is as important as the food at Sound Bites—and they’re equally good. Dishes have industry-inspired names like Voodoo Pasta, the Stevie Ray Burger, and Red Rockin’ Chili. Most of Sound Bites’ live entertainers perform a variation of “Old West” music—think tributes to the likes of Neil Diamond and similar musicians. Sound Bites has a gorgeous patio with views of the red rocks, and it also has an impressive collection of signed guitars on display in the Guitar Gallery. The best way to see the true beauty of Sedona is to get outside to enjoy it. There’s never a bad time to get outside in Sedona, even in winter. With a little research or help from a hotel concierge, you can easily plan a self-guided tour of the red rocks, but you can take the pressure off yourself a [Sedona View] nd book a hiking tour with a knowledgeable guide who knows the region well. Many private hiking tour companies like Wildland Trekking Company and Pygmy Guides can take you to some of the most picturesque spots throughout the canyons. The key here is to know what want. If you want an easy hike where the focus is on photography opportunities, let your guide know in advance. If you’re looking for a hiking challenge, be clear about that upfront. Also, hikers are able to stay overnight by camping out at one of the many designated campgrounds—and guides can help with this, too. Another must-do in Sedona if you love the outdoors is paddling the Verde River, which can be done any time of year. The Verde River is actually about 30 minutes outside Sedona, but you rarely get the opportunity to go canoeing or kayaking in the desert. During the winter, fall and spring months, the water levels on the Verde River are considered class 1 and 2—in other words, fairly mild and suitable no matter what your experience level is. Both inflatable and hard-shell kayaks work well on the Verde River. Verde Adventures has a variety of tour types to choose from, including a few different wine-and-kayak trips, which takes kayakers to local vineyards after a float trip down the Verde River. After a day of active adventure, it might be time for a more relaxing way to see and experience Sedona’s stunning natural beauty. Plan an early evening tour of Sedona on a hot-air balloon or helicopter ride to see what the area’s gorgeous red rocks look like from above. Another way to relax while still enjoying the fruits of Sedona is on a winery tour and tasting. There are several spots worth visiting for a wine tasting experience, including Oak Creek Vineyards & Winery, Javelina Leap Vineyard & Winery and Page Springs Vineyard & Cellars—all in nearby Cornville. Arizona Stronghold Vineyards is another option, located in the center of Old Town Cottonwood. Sedona is surrounded by intense beauty, making it easy to plan a quick day trip to one of the natural marvels. On one of your days in Sedona, consider making a quick trip one of the nearby local attractions easily accessible from Sedona. Only about two hours from Sedona is the gorgeous and majestic Grand Canyon—one of America’s most recognizable landmarks, stretching out for 277 miles of rocky landscape. Whether you’re traveling north, south, east or west around the Grand Canyon, visitors can see the amazing natural beauty of the canyon on a scenic drive of the area (including the trip from Sedona to the Grand Canyon). You can sign up for one of the many Grand Canyon bus tours that departs from Sedona and drops guests off to explore the area for a few hours. A few favorite stops at the Grand Canyon include the ancient Hualapai Indian Reservation and the skywalk observation deck that hovers above the canyon. The Havasupai Reservation is another well-preserved area on the canyons floor, tucked underneath the cliffs. Somewhere close to 600 Native Americans still reside at the reservation, which welcomes tourists to learn about their land and culture. Near the reservation are four natural waterfalls in the midst of the desert, giving guests great photo opportunities. Another possible day-trip option near Sedona is a visit to Tusayan Ruins, located about two hours north of Sedona. The 800-year-old ruins were once home to the Pueblo Indians, and visitors can explore the Hopi structures and site as well as visit its museum displaying historic artifacts from the area. Sedona is one of the world’s most famous retreat destinations for spas, wellness and healing. Treat yourself on your final day in Sedona by unplugging and connecting in a different way at a world-class spa, where you can book treatments like body wraps and healing facials. The adobe-style Enchantment Resort has an on-site spa, Mii amo, with many treatment options, and it offers additional activities like aqua aerobics, yoga, mountain biking and cooking classes. Guests who are looking for a more spiritual treatment can book an appointment at Crystal in Sedona, where a body language specialist gives soothing massages and exfoliating facials with eco-friendly skincare products. Additional healing options include organic hair and scalp treatments, ear candling, and an Ayurvedic luxury wrap. 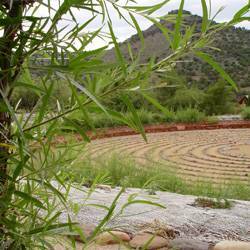 Sedona is also an ideal place to unplug and get back to nature by focusing on being more mindful and balanced. 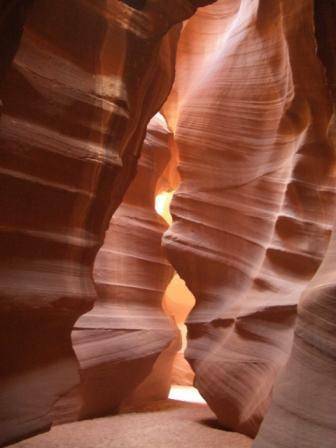 Sedona hosts a number of workshops on meditation, yoga, energy healing and shamanic wisdom in canyons. Additional courses for the mind’s well-being include tarot readings, mandala drawing, and aromatherapy. After a rejuvenating workshop or spa treatment, head over to Sedona’s largest outdoors store and cafe, The Hike House. While the store has an impressive display of hiking gear, its own Energy Cafe is a haven for health nuts with prepared organic sandwiches, raw cookies, protein bars, juices and trail mixes. Those that are looking for a more upscale yet healthy dining experience can opt to go to Secret Garden Cafe, where gourmet vegetarian and vegan dishes are offered. Diners can enjoy healthy sashimi at Hiro’s Sushi and Japanese Kitchen, which has been called the most authentic Japanese cuisine in the region.